Eight M5 bolts and Nylock nuts secure the deck to the frame. 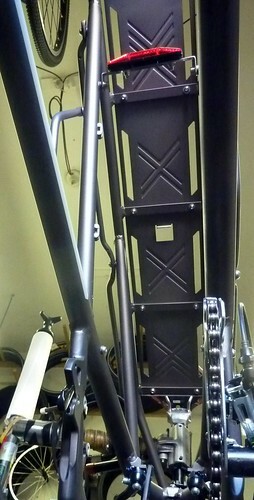 Load platform is 7" X 31.5", and load capacity is 100 lbs. 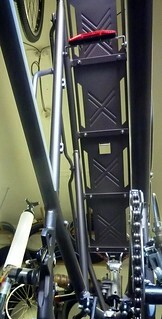 Each collapsible side rack is rated for 50 lbs., for a total of 200 lbs on the rear.